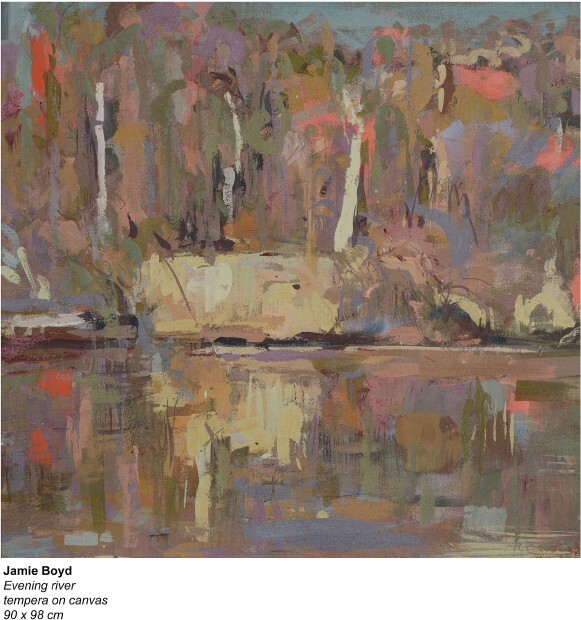 Jamie Boyd was born in Melbourne in 1948. 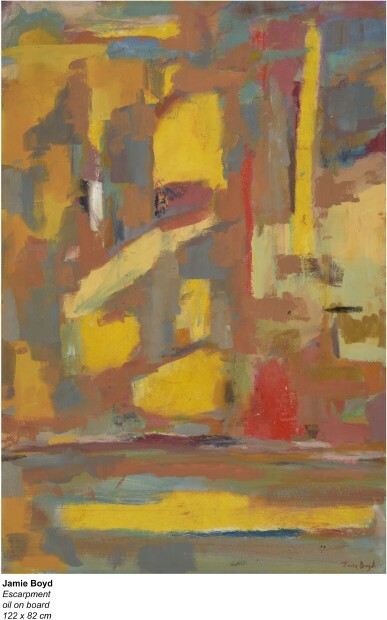 His family came to London in 1959 and he studied there briefly in the 1960’s at the Central School of Art and Design . 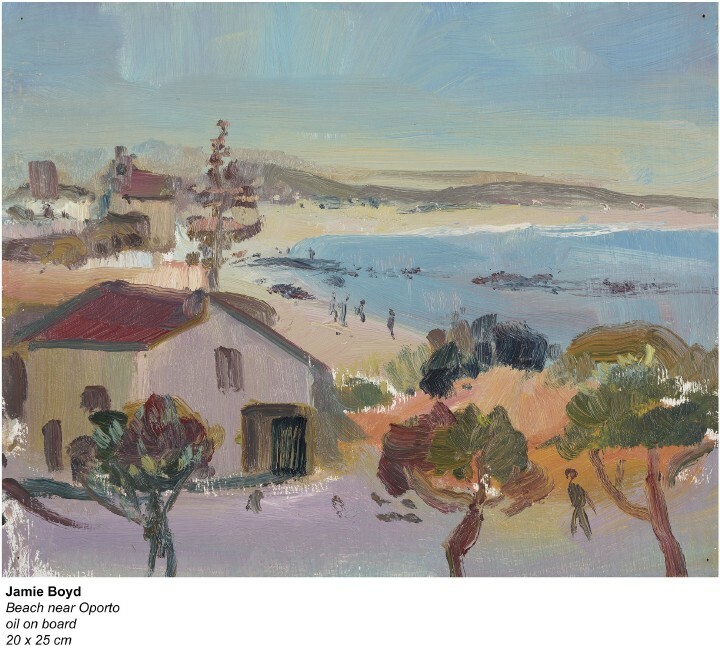 As a painter, he continues the tradition of the Boyd family who have collectively made such a profound contribution to Australian art. 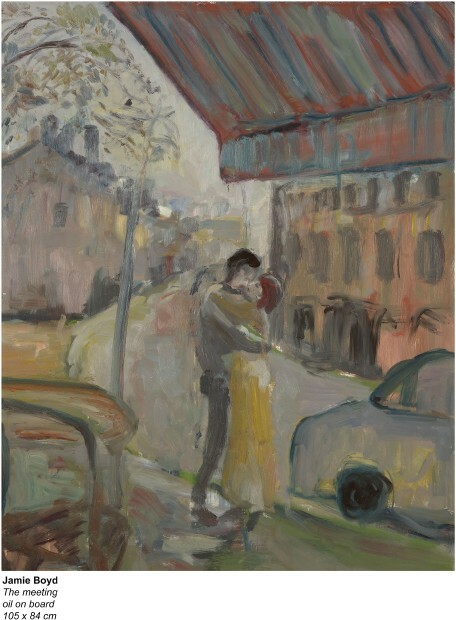 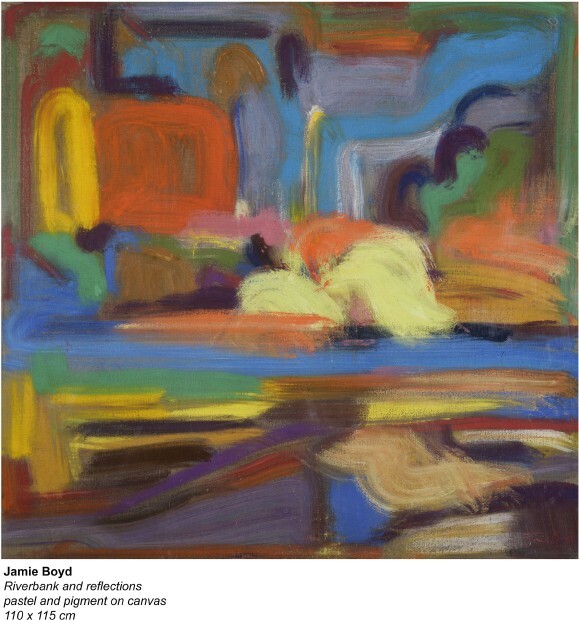 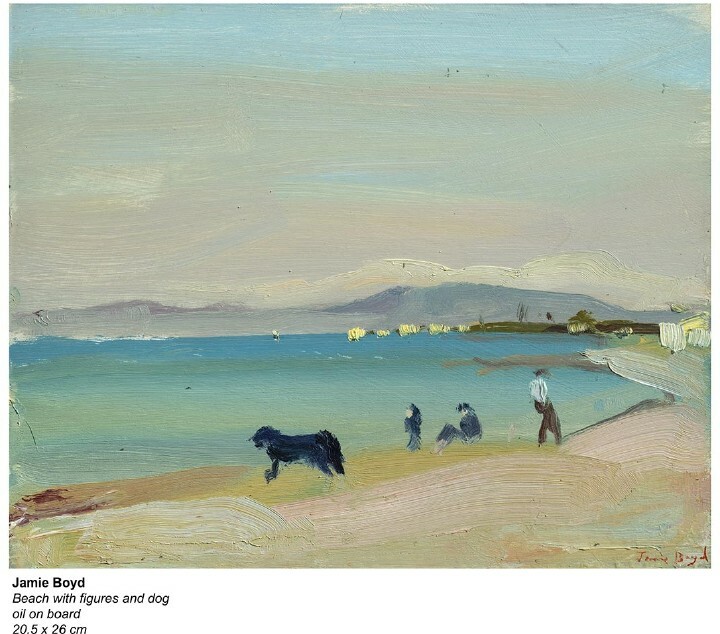 It is however, equally significant that Jamie Boyd has established such a firm reputation as a painter in his own right. 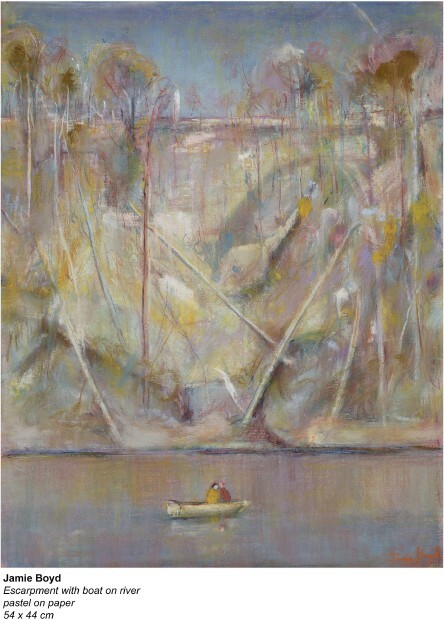 He has lived most of his adult life in London, returning to Australia periodically where he is reunited with the surrounding landscape of the Shoalhaven with its’ almost intangible beauty and strength. 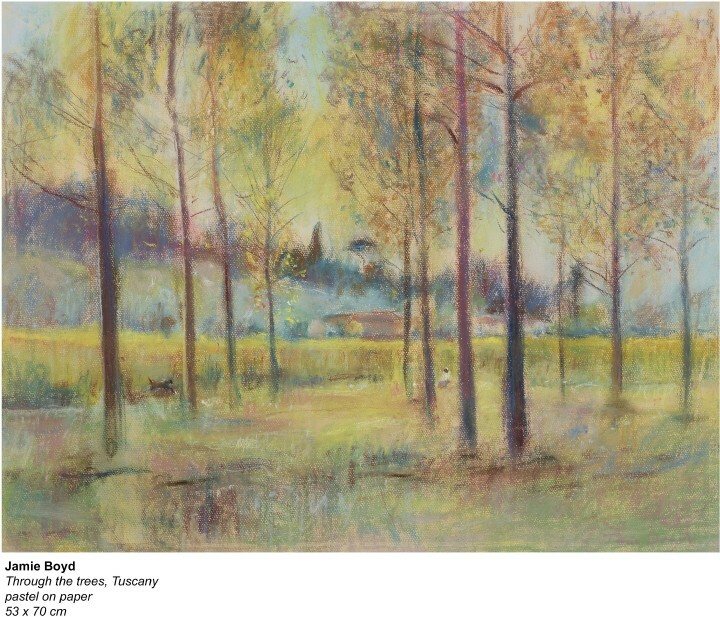 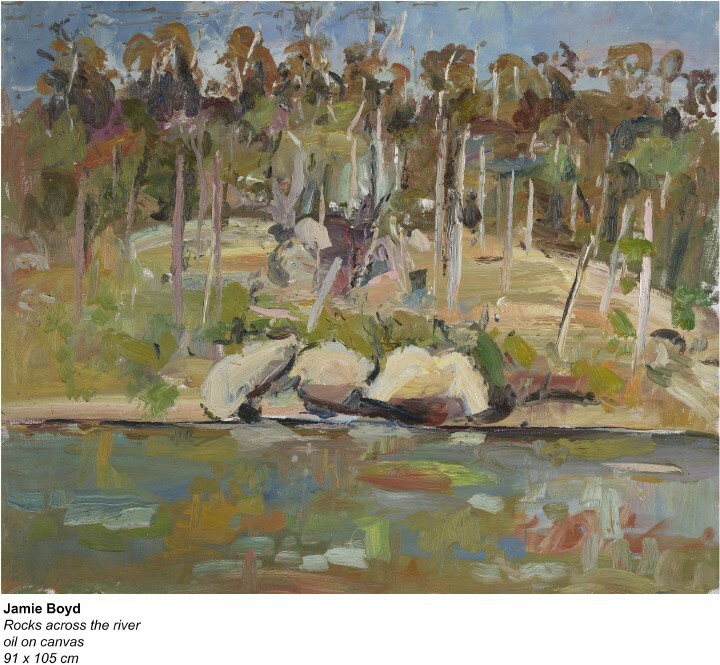 His distinctive work thus reflects both the enduring influence of the Australian landscape and a broad international sensibility. 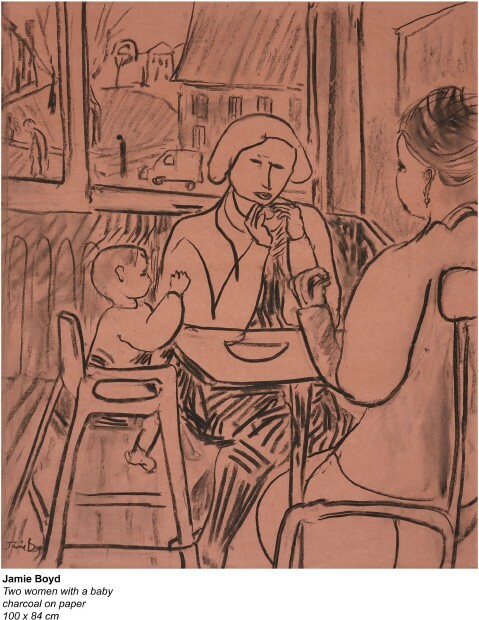 People often remark that the children of famous artists have a hard act to follow. 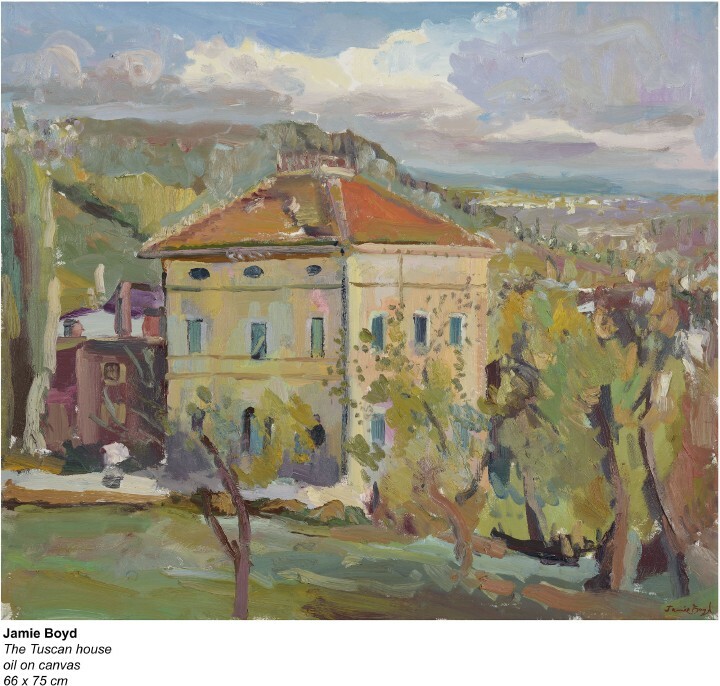 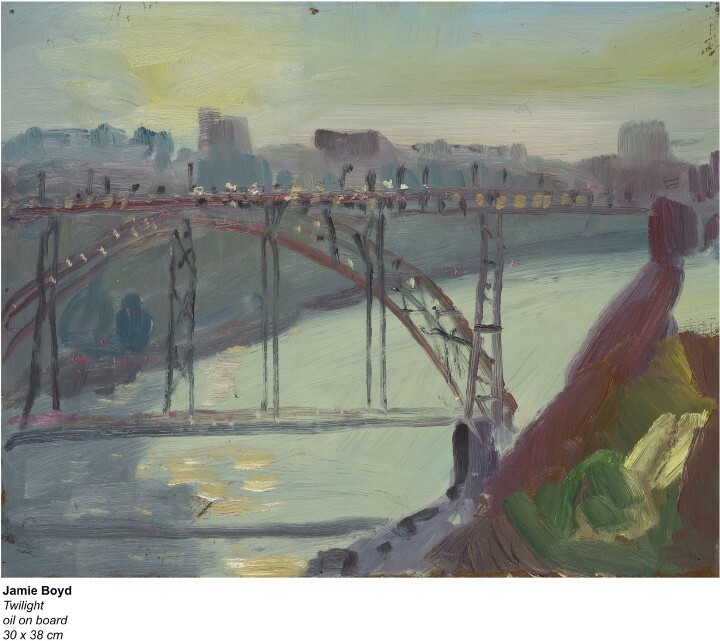 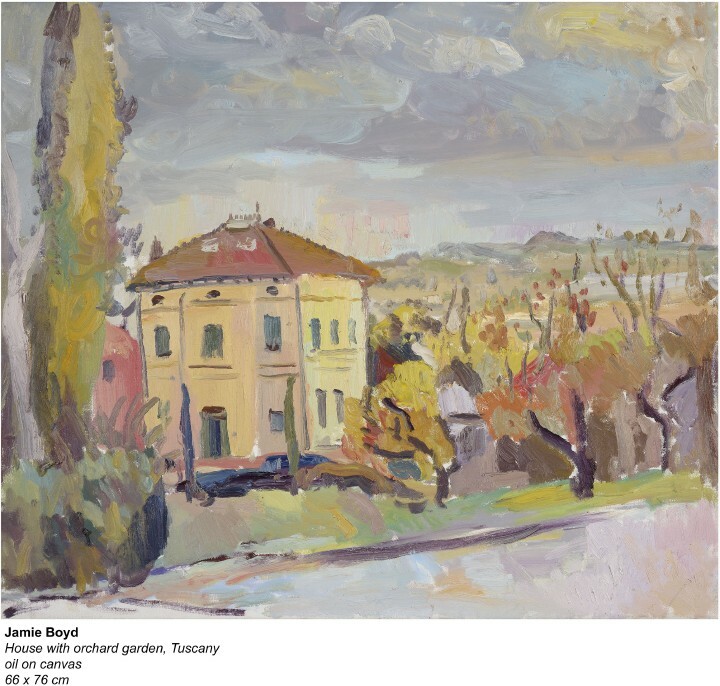 But Jamie Boyd is not only the son of leading Australian painter Arthur Boyd (1920 – 99), he is part of a much wider entity. 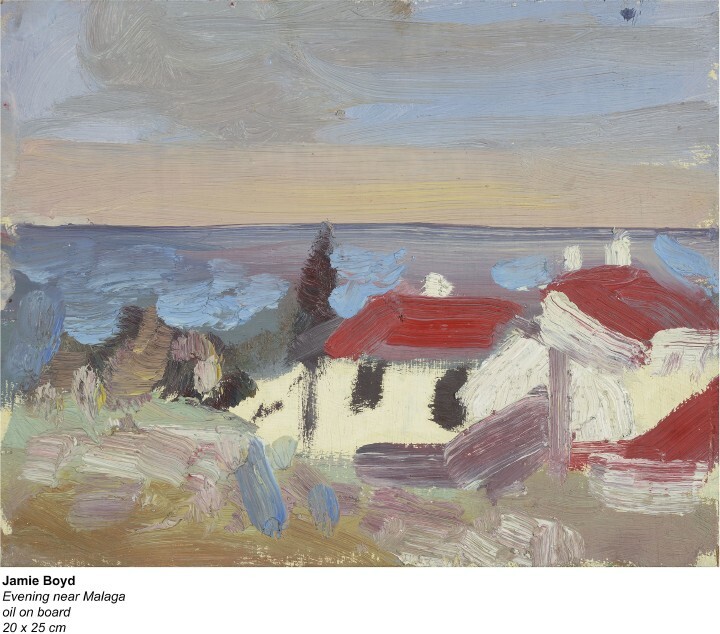 The Boyds are an artistic dynasty stretching back generations that has numbered painters, potters, sculptors and architects among its members, so that art is as natural to them as breathing. 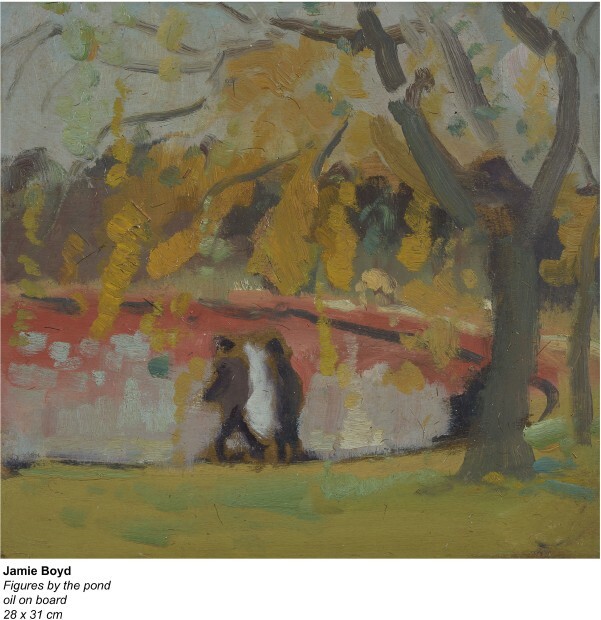 This context and upbringing has endowed Jamie with huge reserves of inherited experience to draw upon, and has meant that going to art school was scarcely necessary. 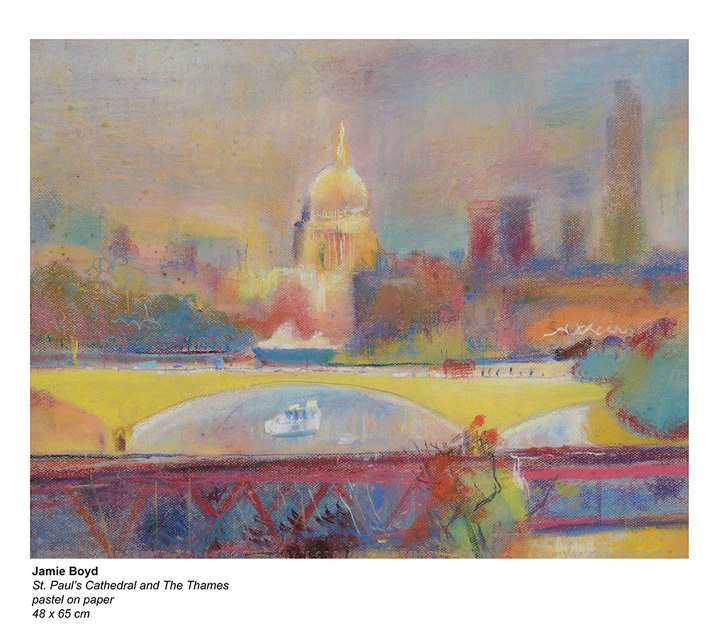 (His brief sojourn at the Central School in London came about because he wanted to meet fellow artists.) 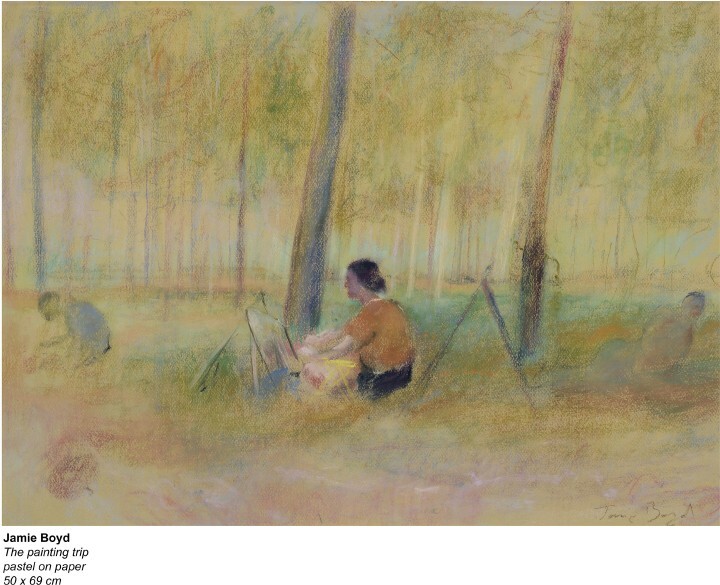 Essentially self-taught, any technical expertise he needed was supplied by his father. 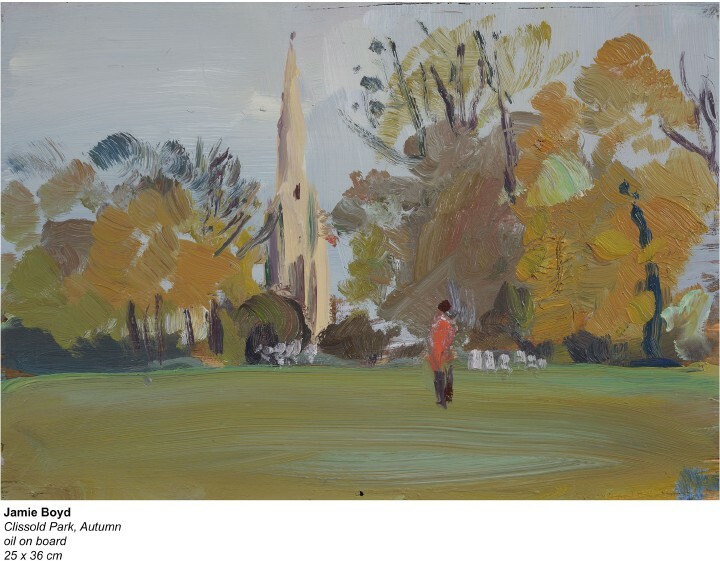 Inevitably there is a family resemblance to be discerned between Jamie and Arthur’s styles, but their aims and ambitions have been very different. 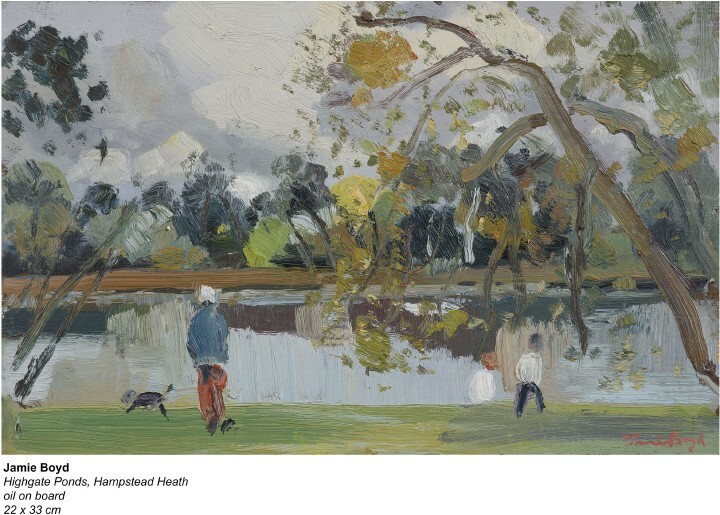 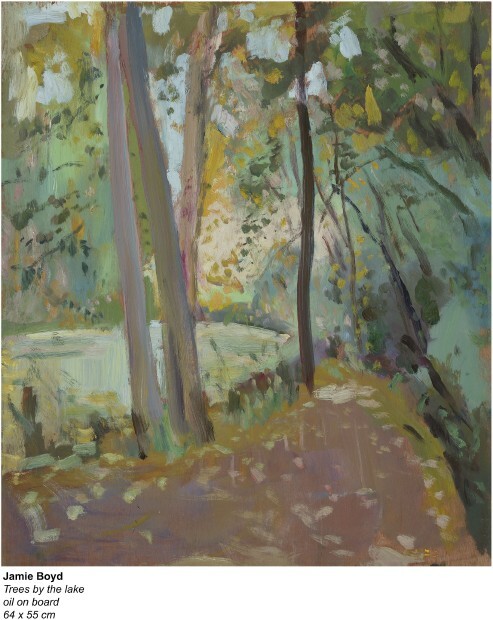 They come closest perhaps in their interpretation of the Australian bush, but Jamie was brought up in England and spent much time painting en plein air on Hampstead Heath, inspired by Constable, so he brings an English freshness to his vision of Australia. 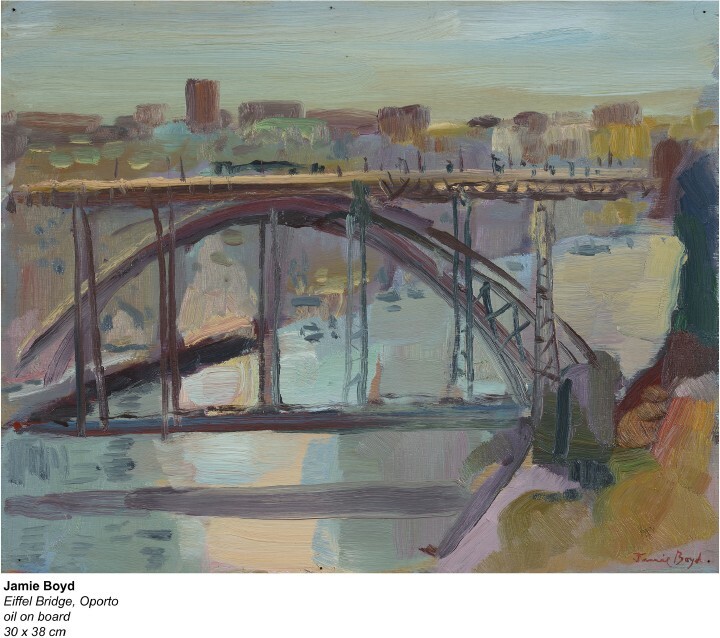 Jamie Boyd relishes different types of country and different qualities of light: he paints the landscape of Suffolk and Tuscany, the Rio Douro, Florence, and the Rhone valley as well as the Shoalhaven River in New South Wales. 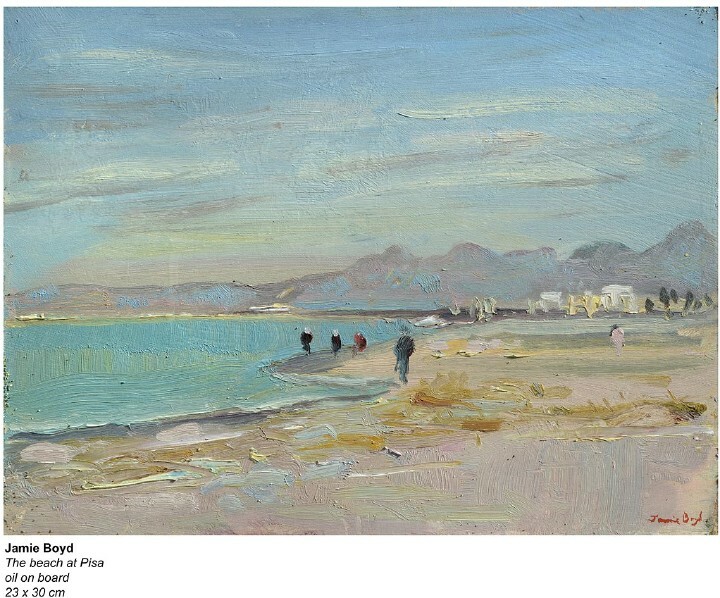 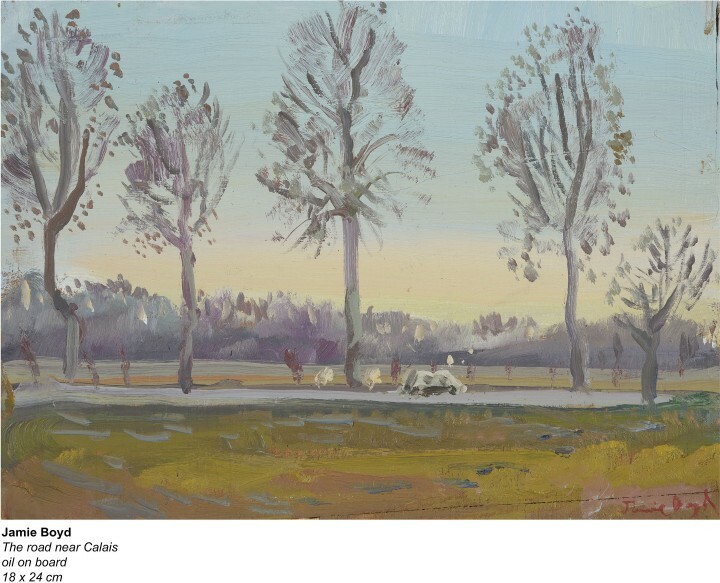 He is adept at capturing the soft English light and air (see the beautiful oil Trees by the Deben River), but is equally skilled at rendering the harsher light of the Mediterranean (as in Evening near Malaga). 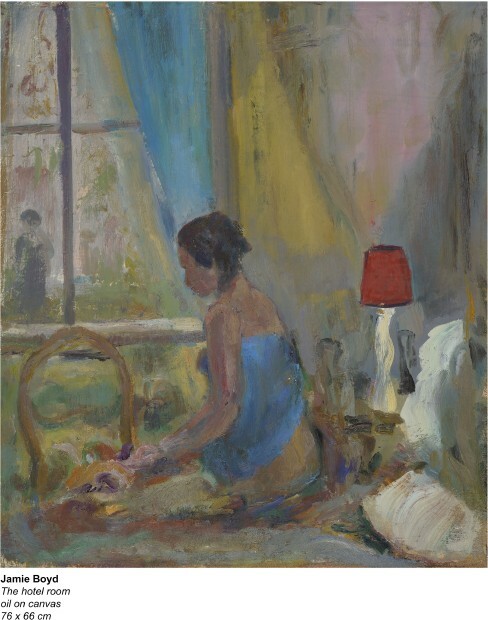 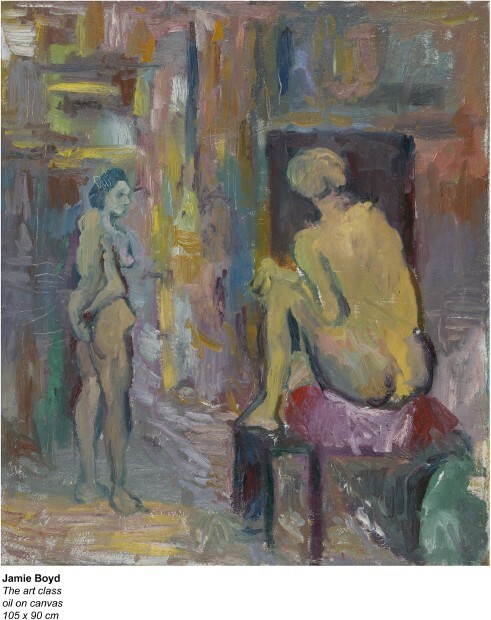 His lively worked paint has a shorthand briskness of gesture which conveys the immediacy of the passing scene, particularly in studies done on the spot. 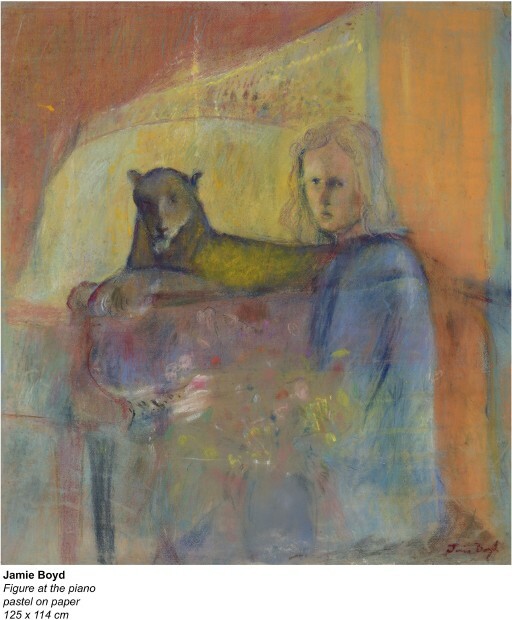 The studio paintings tend to be more contemplative, drawing on imagination as well as memory and the vivacity of sketches. 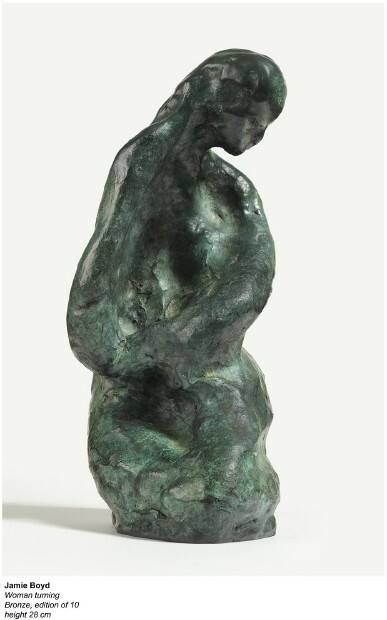 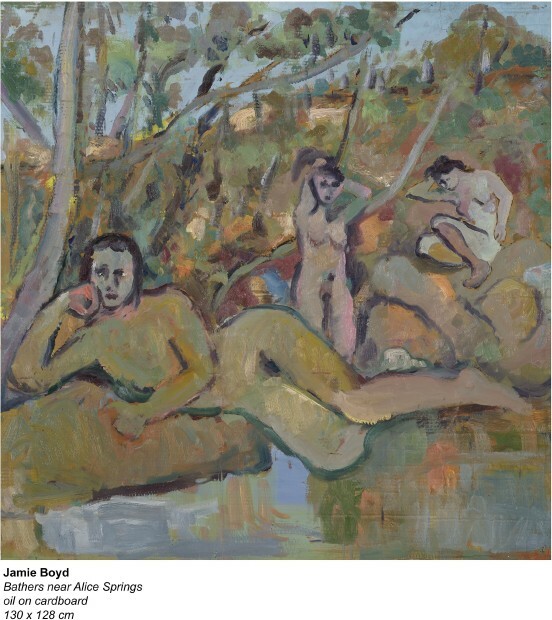 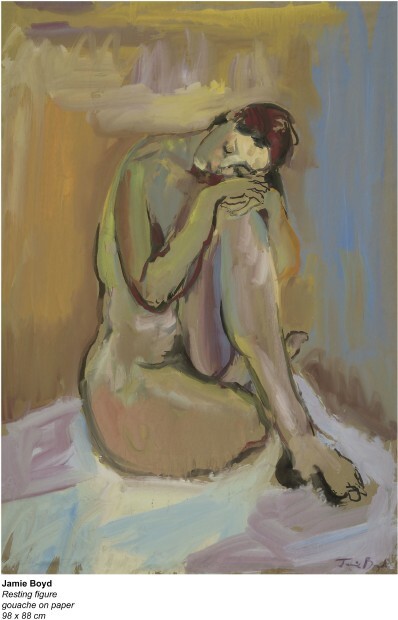 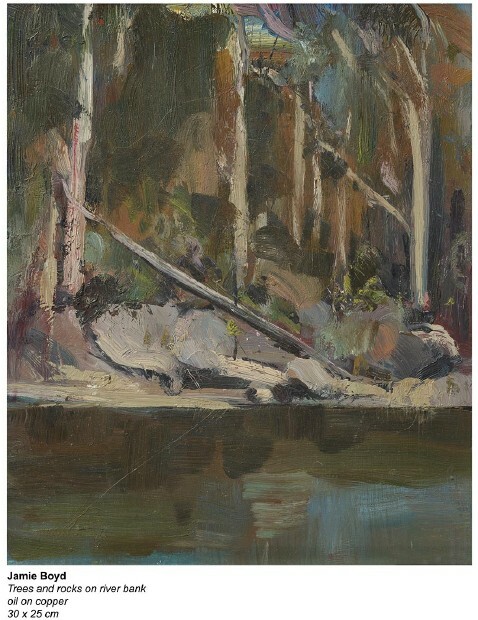 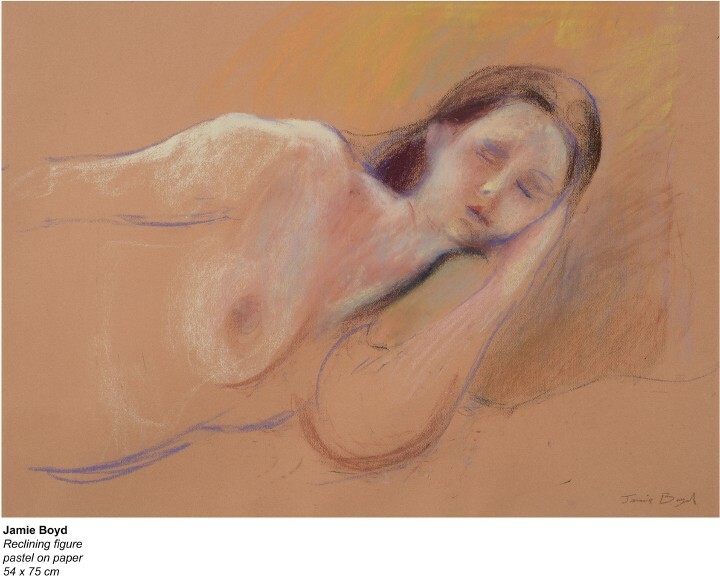 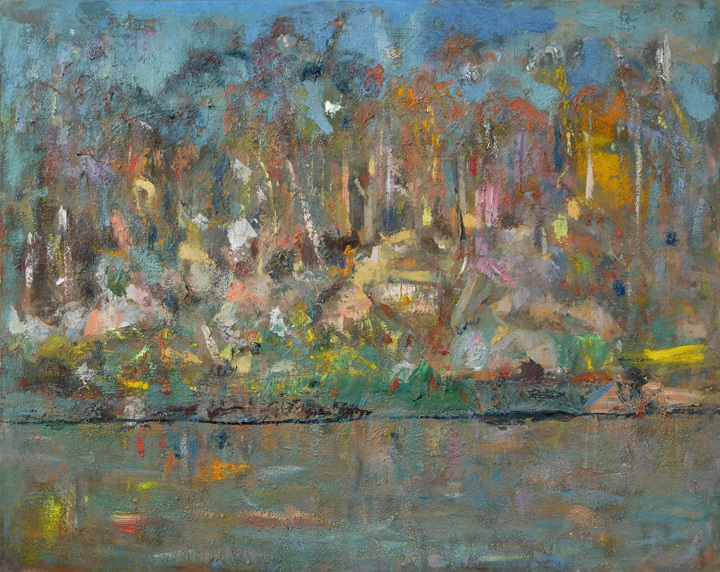 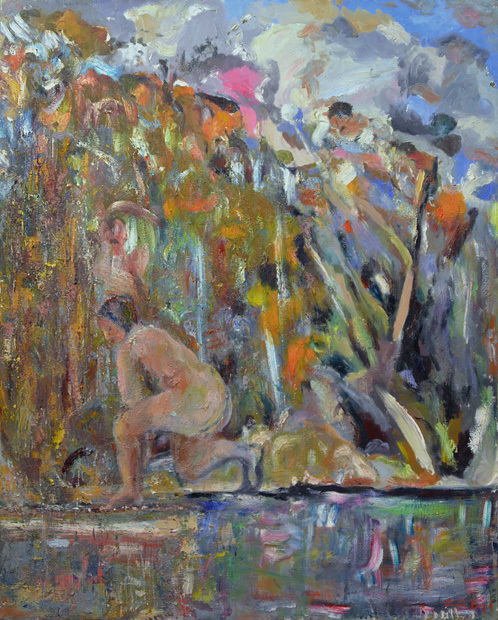 Boyd’s enthusiasm for the Old Masters comes out in a series of references and covert homages to his favourite painters, for instance to Cezanne in Bathers near Alice Springs, which has a convincing earthy sensuousness, as if the nudes were modelled from the clay of the riverbank. 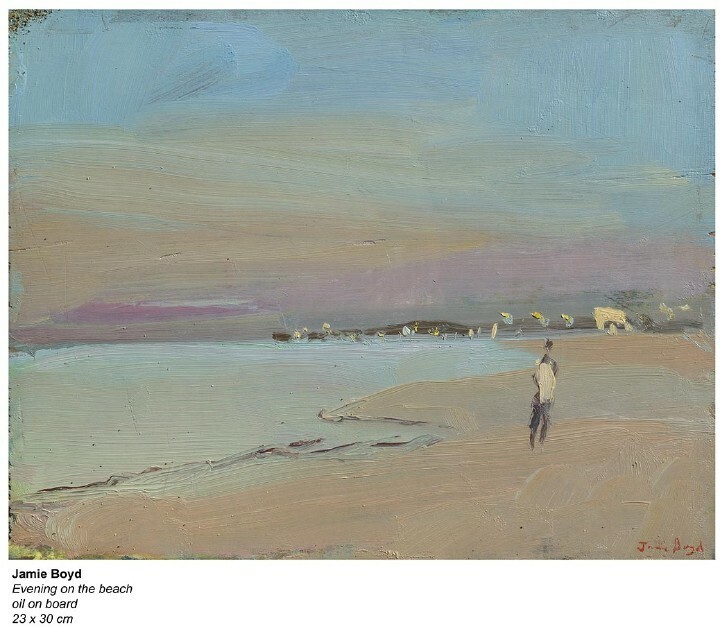 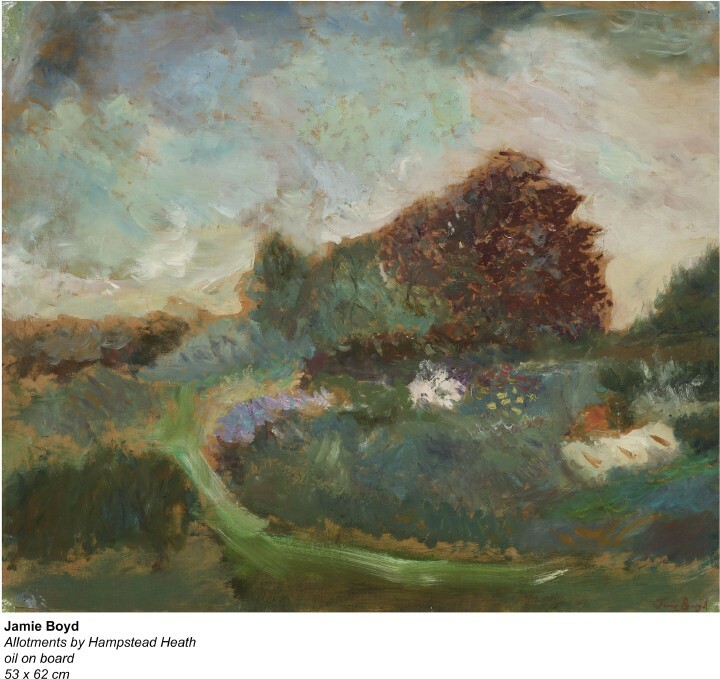 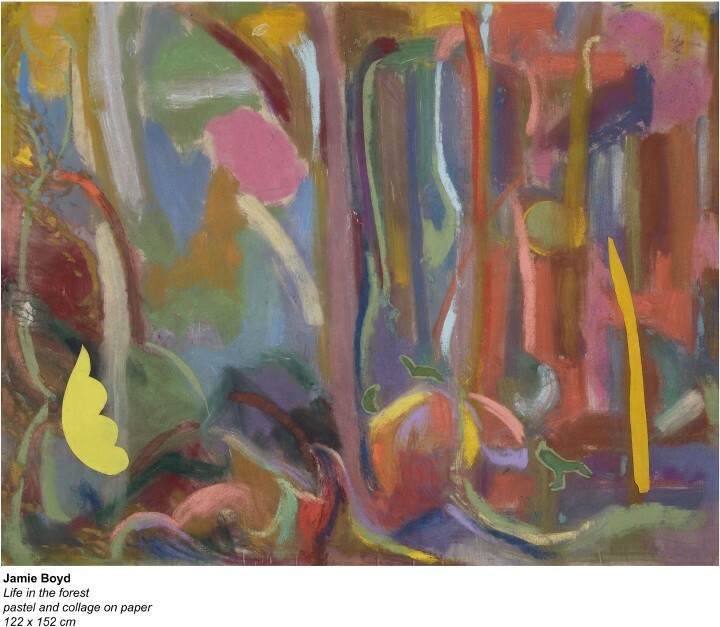 The poetic qualities of Boyd’s paintings match the sensitive attention he gives to surface textures, while his vigorous, instinctive response to landscape is balanced by a sense of mischief. 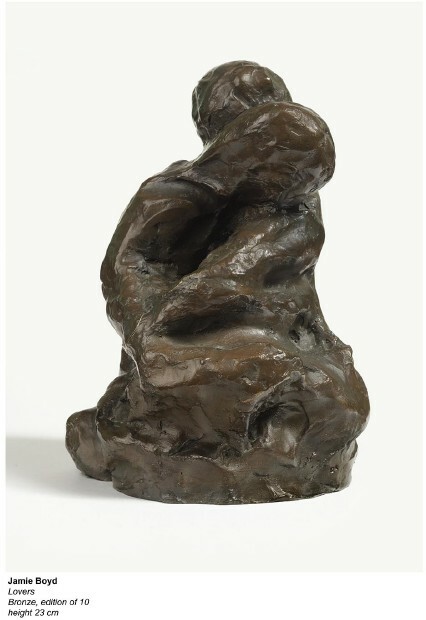 (For instance, his surrealist leitmotif, the lion or lioness, reappears here in Figure at the Piano.) 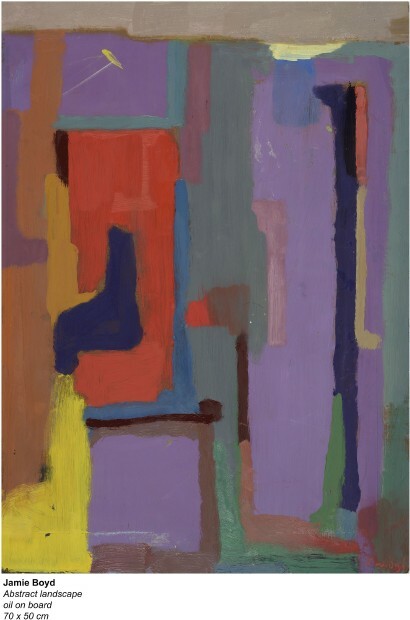 His exploration of the language of painting is given new impetus in the powerfully blocky abstract landscapes, in which colour has become more symbolic and decorative than descriptive, and we are reminded of the origins of abstract painting, when artists abstracted from nature, rather than venturing into self-sufficient non-representation. 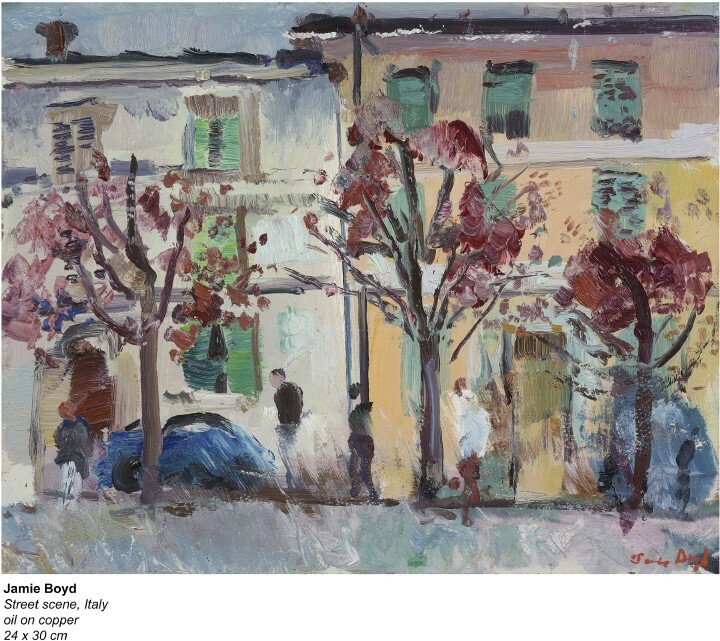 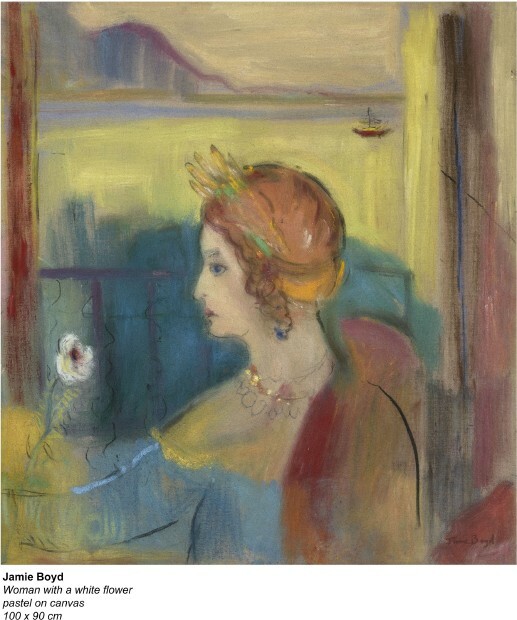 The images in this exhibition, whether in oil, pastel, watercolour or tempera, work through direct vibrant mark-making and seductive colour to enlarge upon the mystery of life with a welcome generosity of spirit. 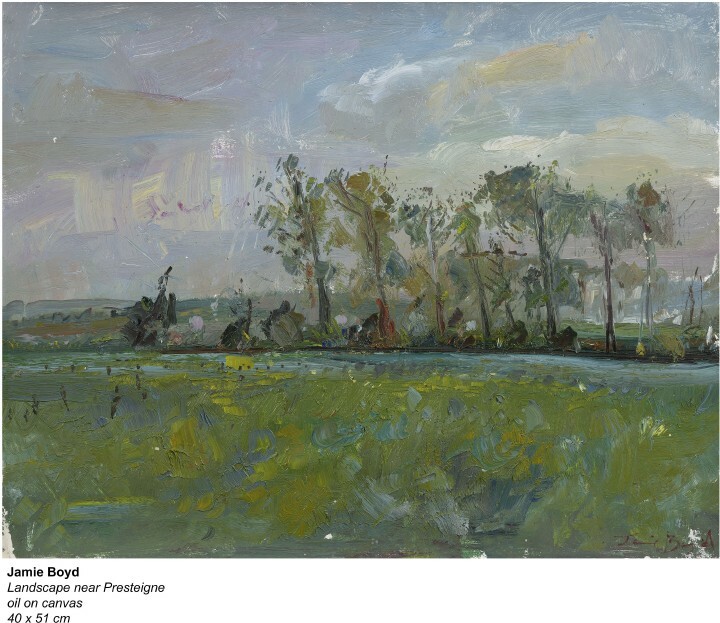 "One of the joys of painting in the open air – “on the spot” – is the pleasure of taking home to the studio that captured scene – not to copy but to be used as a prompt to rekindle the original inspiration. 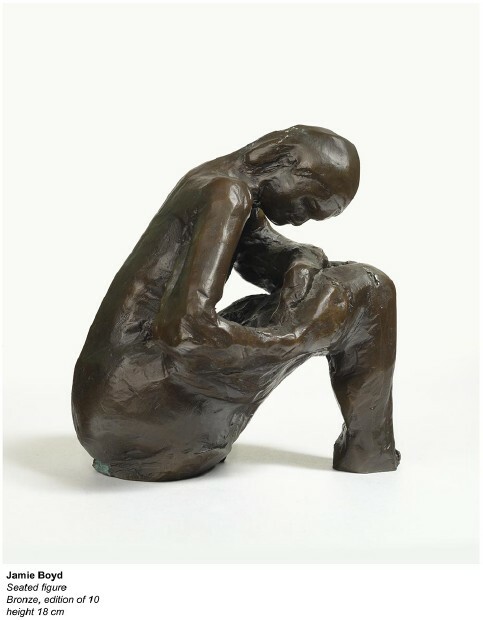 A reminder of the emotional state as much as a reminder of time and place. 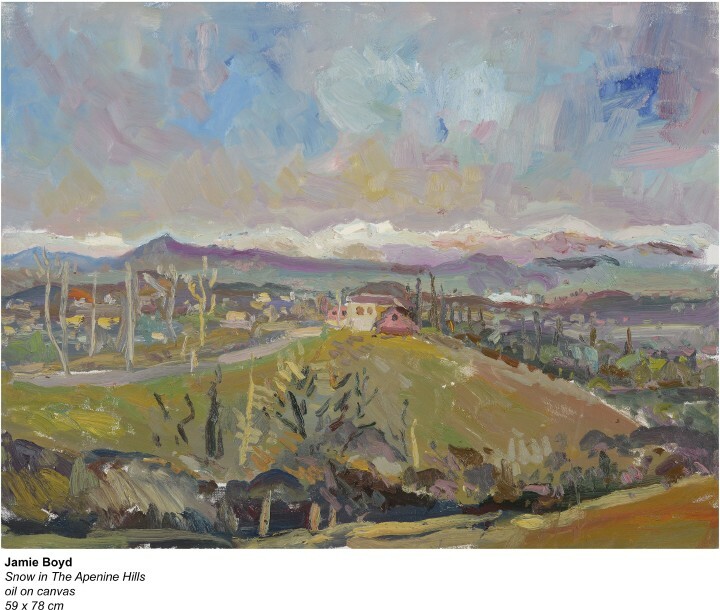 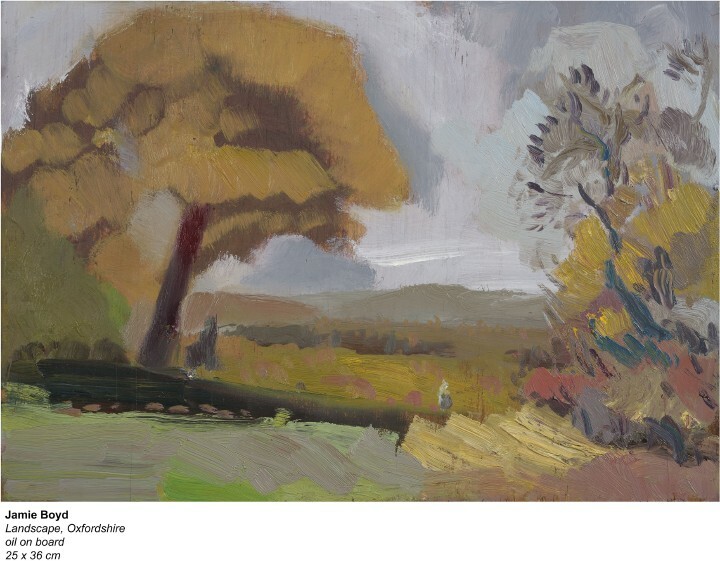 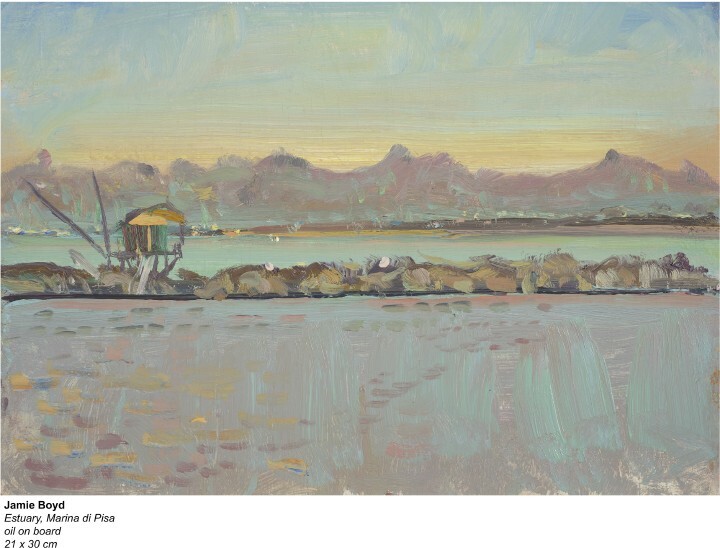 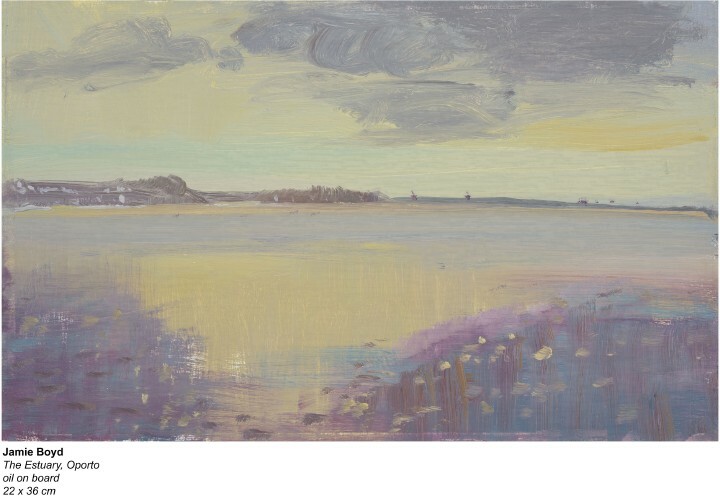 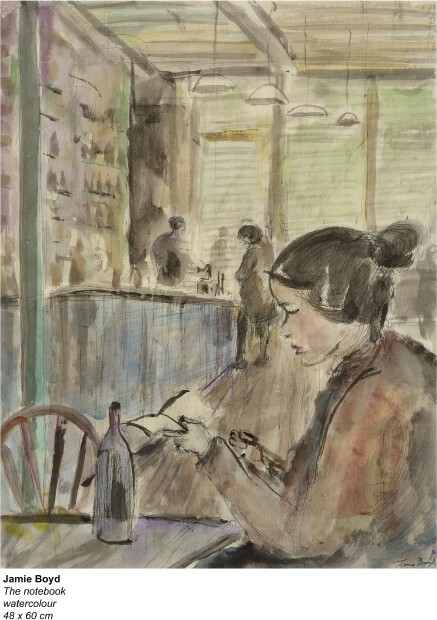 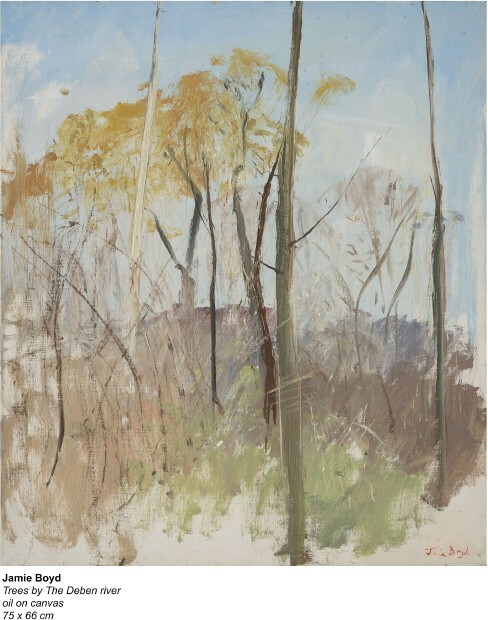 If, when in the studio, a larger scale work is made and the “on the spot” sketch is used as a backdrop to a “narrative” picture then the plein air painted landscape as backdrop can take on another identity, bestowing poetic qualities to the scene which were not previously revealed. 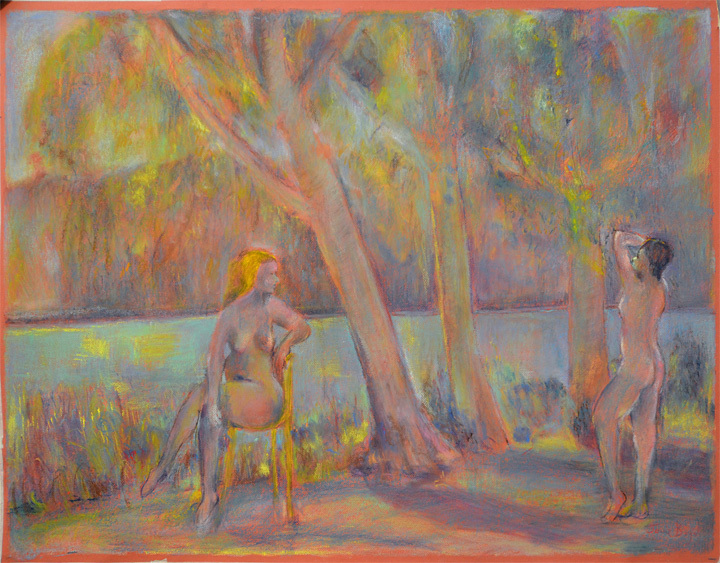 A symbiotic relationship has developed where a human drama enhances the landcape as much as vice versa. 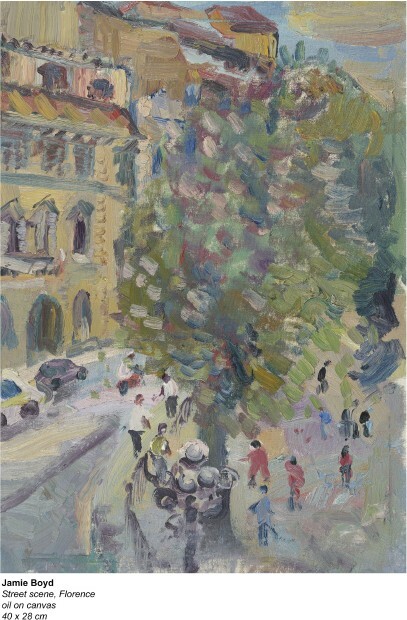 Whilst painting on the spot, the painter, ideally, is so absorbed by the scene as to be in a trance like state, conscious only of the information received by the senses and thus, perhaps, unknowingly transcribes something beyond perception. 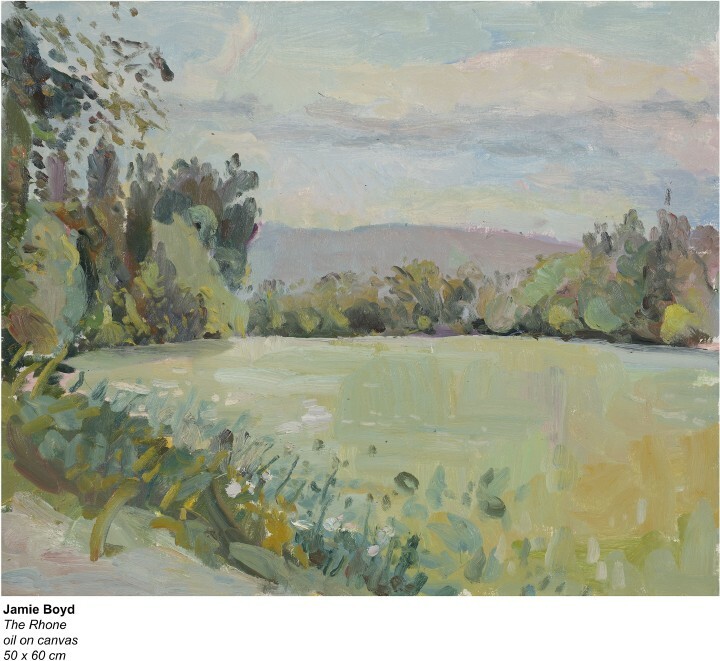 Whilst painting on the banks of the Rhone this summer watching the swift but still flow of the river skimming beneath the reflections I felt it to be a place to which a painter could often return. 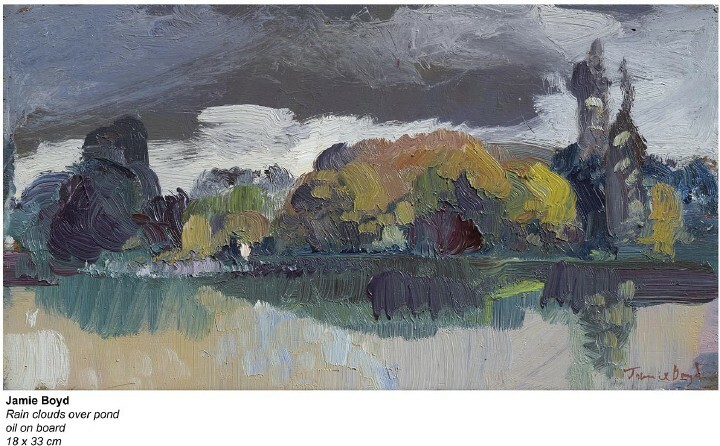 The painterly possibilities to be harvested from water, sky and trees were as deep as their mirrored images were illusory and each successive picture would owe nothing to the one before."